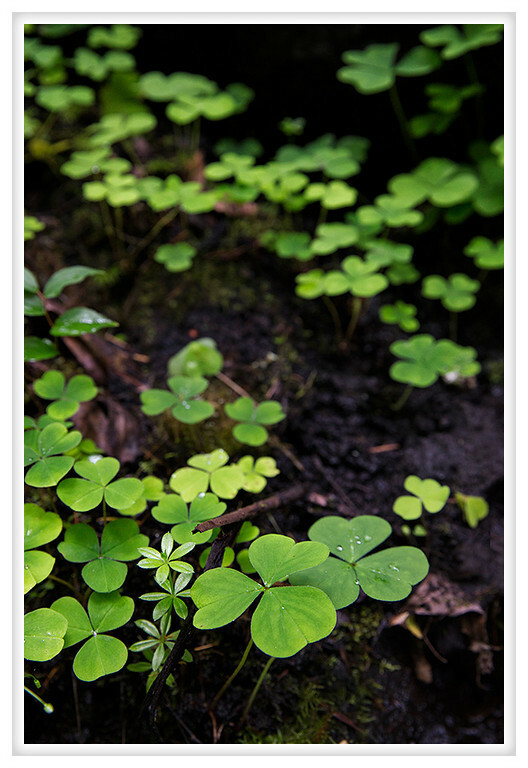 This is wood sorrel, a clover shaped plant with tuberous roots. The plant itself is edible though noted to mildly toxic. I don't know how much one would have to eat in order to feel any ill effects but it might be wise to moderate your intake. In the direct sun the leaves will fold back as it does not like the harsh light but the will reopen as the light diminishes.